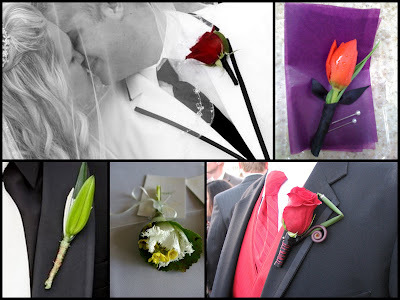 Boutonnieres have come a long way from the traditional white rose, babys breath, and ivy. Now orchids, wire, and interesting blooms are all the craze. 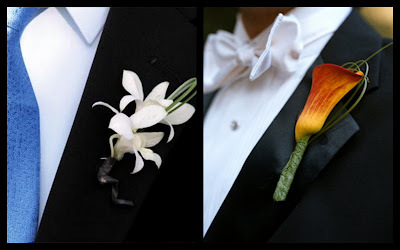 Boutonnieres are becoming more masculine in style. Whether that means incorporating strong lines and interesting filler accents, or using just pods, seeds, and twigs, as long as you love it, that's all that matters! 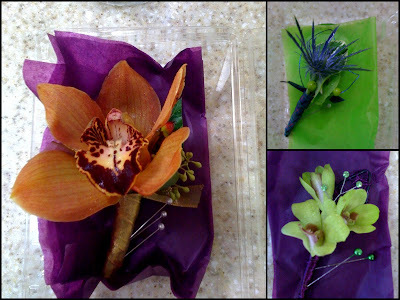 Due to their tropical nature, orchids are a great flower to accent any occasion. They are unique, interesting and hold up very well in warm weather. We carry a wide variety of different types of orchids including Phalaenopsis, Dendrobium, Oncidium, James Storii, and Cymbidium; in an even larger array of colors! Come in to see our idea book filled with a design that sure to perfectly suit your style.